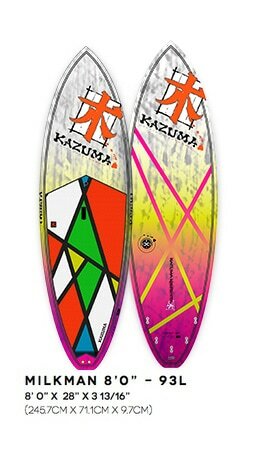 The Milkman SUP sets the standard for high performance sup boards and no other board on the market can match the technical detail of this ultra refined design. 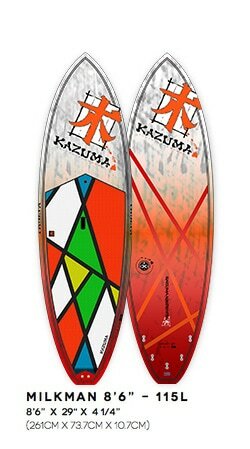 From Kazuma's trademark “Triple Barrel” concave to the pure short board rails, rocker and foil blends, the Milkman SUP is the go to board for advanced to professional riders. 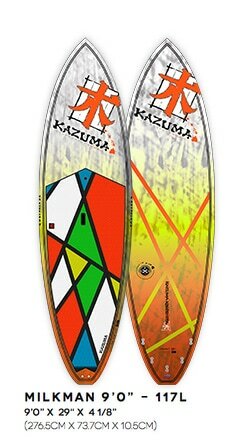 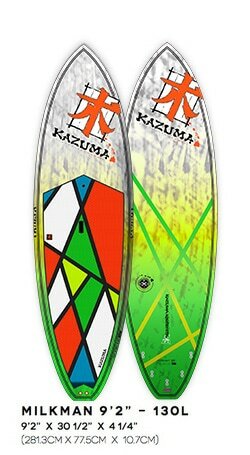 Like all the Kazuma SUP models, the designs and performance characteristics follow the popular Kazuma short board models. 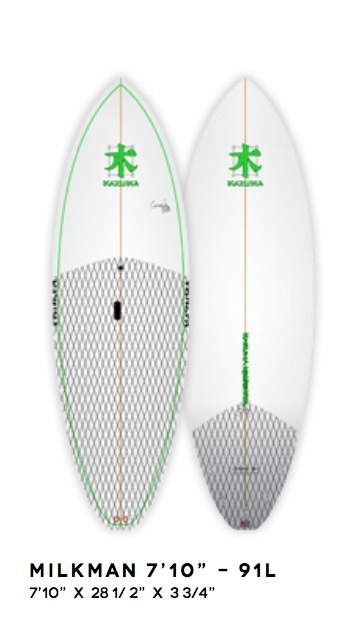 Ultimate performance, no expense spared full carbon ultra strong and ultra light construction. 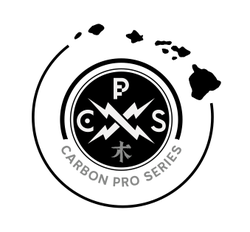 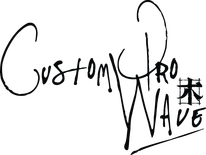 Pure custom professional surf construction. 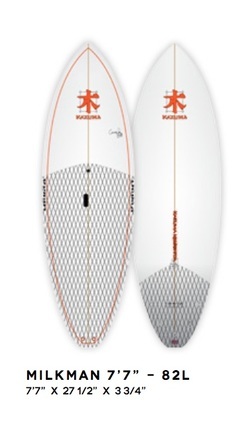 This line has a clear epoxy lamination similar to a regular shortboard construction to fill the real surfing feeling. 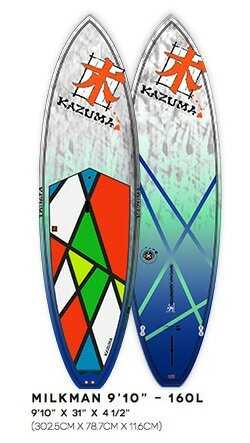 To offer the best performance, the custom pro comes with an Honeycomb Fin set by Kazuma.